The foundation is currently shuttered. Read below how the IRS ended what could have been a great thing. The Loflin-Anaya Foundation was a family-founded, family-directed and mostly family-funded grant-making 501(c)3 institution based in Springville, Utah. We hoped to help those in need better themselves through educational and service opportunities; supporting other educational and/or health-based foundations, schools and NGOs in their efforts; and encouraging and facilitating meaningful service opportunities for individuals and families. Provide duffel bags and basic essentials for Utah foster care system. Academic scholarships to birth-mothers who placed their babies for adoption and are seeking educational opportunities. Academic scholarships to Native-American students who are seeking educational opportunities. 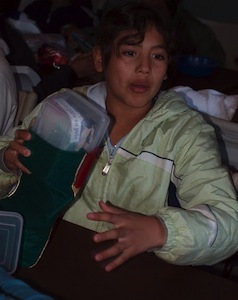 Facilitated individuals and families traveling to orphanages in Baja California, Mexico, such as Door of Faith Orphanage and Corazon De Vida, where they provided meaningful service, such as construction of a nursery and delivering Christmas gifts. 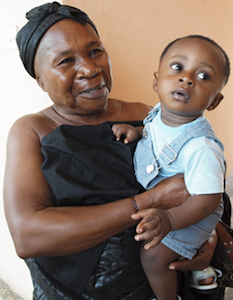 Funds to construct and supply a medical clinic in Asikuma, Ghana. Funds to refurbish a house in Abomosu, Ghana, where visiting nursing students now stay while serving in Abomosu and surrounding villages. Provide a 15-passenger van, with a local driver, to visiting NGOs in Ghana, which affords safe and reliable in-country transportation. For very small NGO groups vising Ghana, an aprtment in Accra is available along with the van. In 2012, founder Andrea Loflin Anaya was recognized by the Utah county chapter of the American Red Cross as the International Hero of The Year for the foundation's efforts in Ghana. Unfortunately, in 2012 the IRS decided to audit the foundation. The audit lasted until 2014 at which point we had paid more money to our accountants and attorneys than we had all the funds we had used accomplish everything the foundation had done. The end result of the audit was absolutely nothing, beyone excessive bills. So much so, that we had to shut down the foundation because the ongoing expenses of dealing with the IRS meant that way too much overhead would go to accountants and attorneys and not nearly enough to actually doing any good. You can thank the IRS and its internally-crafted "regulations" for killing this foundation (and countless other foundations that would love to to good in the world).